Last month we were saddened to hear the news that London Graffiti Writer POW had died, someones whose work we had always admired when we had the opportunity to spy it around South and East London. What has been lovely to witness though is the beautiful response from the local Graffiti community with a number of fresh works placed up in honour of POW from a number of writers. So in memory of POW we wanted to share some of the works of his we had the pleasure of witnessing in recent years about London, followed by some of the touching works we have seen placed up in memory of POW by his fellow writers. RIP POW. Work by POW in Hackney Wick. 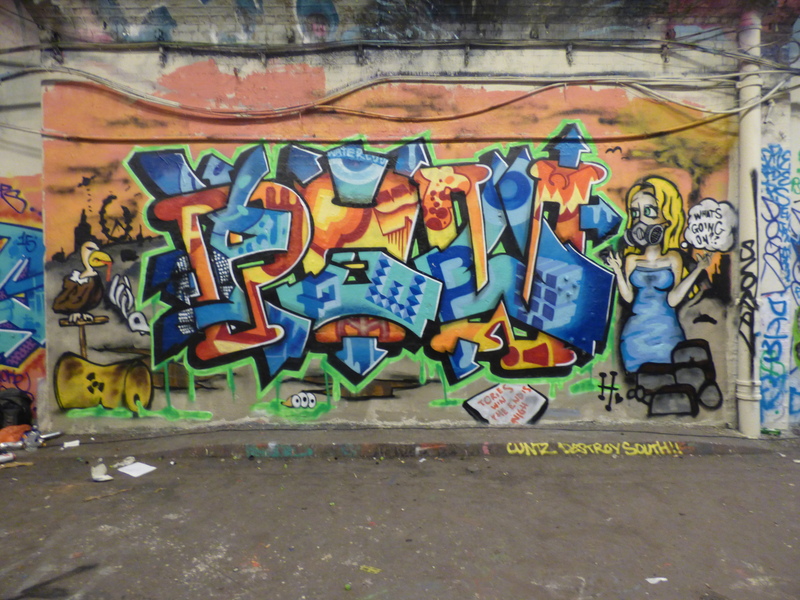 Work by POW in Leake Street, for the Batttle of Waterloo 2015. Work by POW in the Stockwell Hall of Fame. Work by POW in Leake Street. Works by Sterling, ?? ?, POW & Sterling in Brixton Bloc. Work by POW in Brixton Bloc. Work by P0W in the Stockwell Hall of Fame. Works by POW in Stockwell Skate Park. Work by Sterling & Onion in Stockwell dedicated to POW. Works by Humour & Mr Skosh placed up for the POW Memorial Jam in Allen Gardens, Brick Lane. Work by Humour placed up for the POW Memorial Jam in Allen Gardens, Brick Lane. Work by Mr Skosh placed up for the POW Memorial Jam in Allen Gardens, Brick Lane. Work by ??? placed up for the POW Memorial Jam in Allen Gardens, Brick Lane.